To coincide with the release of MR OIZO‘s highly anticipated sixth studio album ALL WETwith the single, “End Of The World”featuring Skrillex, Because Music have teamed up with premier gaming app developers Hipster Whale to create a unique, one-off level where you can control his inimitable partner in crime Flat Eric for the first time within the digiverse. Jump your way through an endless level, fraught with danger, soundtracked by “End Of the World” and try not to get Eric squashed flat. Hipster Whale is a new Australian studio founded by Matthew Hall and Andrew Sum. Matt Hall runs a one-man studio in regional Victoria called KlickTock and has four App Store #1 games. Andy Sum runs a Melbourne based studio called Jigxor who create multiple games for PC. MR. OIZO aka Quentin Dupieux started to shoot short movies and compose electronic music in his teenage years. He sold his movies to major French film studio Canal+ at 18, released his first EP in 1997 under the name of MR. OIZO and made a handful of videos for the first “French touch” artists. In 1999 he made a TV commercial for Levi’s starring Flat Eric, a furry yellow character created for the occasion. The track “Flat Beat,” which was featured in the commercial topped the charts in Europe the first day it aired, and Flat Eric instantly became an electro superstar and a pop culture icon of the 90s. 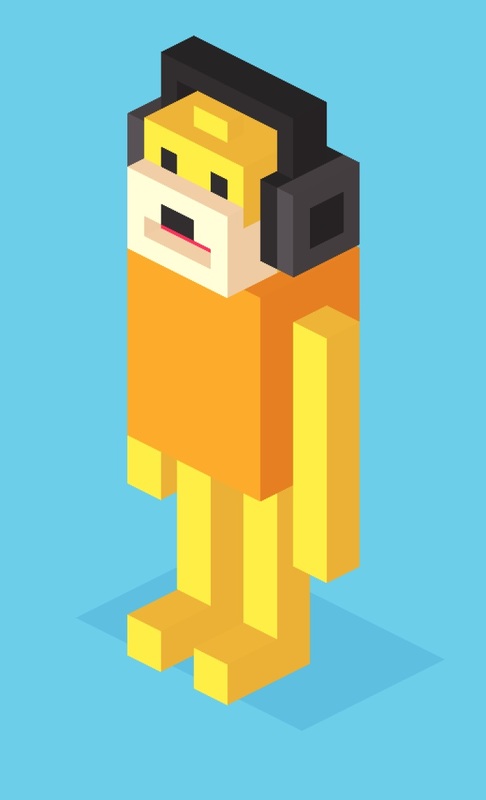 We find him again on the ALL WET cover, connecting the beginning of OIZO’s musical adventures with the present proving that Flat Eric is very much still alive. In 2006, MR. OIZO joined Ed Banger Records which became the perfect home for his music. Fast forward to the present day, and Quentin has six full-length films (Nonfilm, Steak, Rubber, Wrong, Wrong Cops, Reality), five MR. OIZO LPs (Analog Worms Attack, Moustache (Half A Scissor), Lambs Anger, Stade 2 and The Church), four original soundtracks (Steak with Sebastien Tellier & SebastiAn, Rubber with Gaspard Augé, Wrong with Tahiti Boy, and Wrong Cops), and a number of EPs and remixes for the likes of Justice, Air, Calvin Harris, Tiga, Kavinsky, Scissor Sisters, Jamie Lidell and Boys Noize. On this sixth LP, his third for legendary Parisian label Ed Banger Records and Because Music, Mr Oizo has invited friends to collaborate, ranging from Skrillex to punk-electro pop star and performance artist Peaches, pop hook genius Charli XCX plus established electro masters Boys Noize and Siriusmo to name but a few. This isn’t a features album per se, it’s wall to wall Oizo production with a few curveballs thrown in. Irresistible. MR. OIZO will appear at The Fonda Theatre Friday, September 30.